There's no easy answer to this one, so we're going to have to go with: "Maybe." 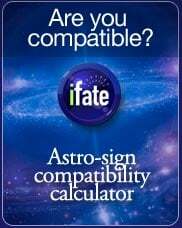 One of the interesting characteristics of numeroscopes is that unlike horoscopes, a numeroscope requires your year of birth as well as your day and month of birth. This additional data makes numeroscopes very different from horoscopes. Two people with the same birthday, but born on different years will share the same horoscope, but their numeroscopes will be different. A daily reading based on numerology, rather than astrology, is therefore more customized to your personal profile than a horoscope can ever be. Horoscopes have only 12 possibilities per day, making horoscopes very general readings at best. 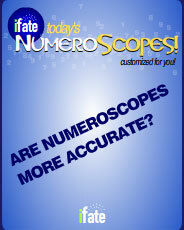 A numeroscope on the other hand has many more possibilities, because the year of birth matters. Many people prefer the variation and customization that comes with a numerological approach. Try one and see for yourself. New to numerology? These are the basics. 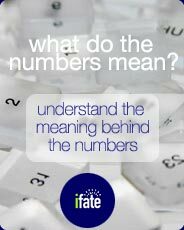 Every number has a meaning: Here are the first nine. Check your NumeroScopes for insight into your day. It's like a horoscope based on numerology!